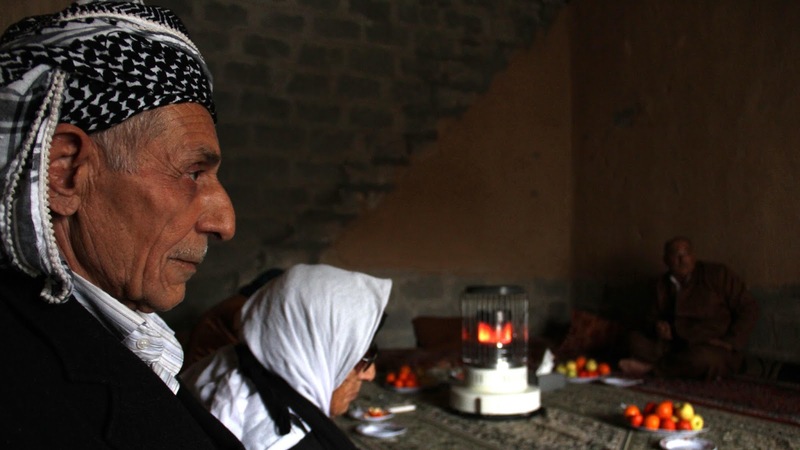 Thanks to PRI.org for this photo of a Kurdish household. In a 28 January 2015 Public Radio International article and the 12 October 2015 Journeyman.tv report, the defection of Kurds to ISIS comes to the forefront. “When a truck blew up in front of a government building in Erbil last November, many wondered how a vehicle loaded with explosives managed to get past numerous checkpoints and into the de facto Kurdish capital. A few days later, they got their answer: ISIS claimed responsibility for the attack, saying a Kurdish recruit — a man they called Abdel Rahman el-Kurdi — carried out the bombing. The Kurds have been on the frontline in the fight against ISIS, which calls itself the Islamic State, but not all Kurds are fighting against the militants. Some young Kurdish men have joined the ranks of ISIS, and are now fighting against their own brethren. It’s a shocking phenomenon to many people in the Kurdish areas of Iraq. But almost all Kurds share ISIS’ Sunni faith, and disaffected young Kurdish men can be seduced by radical Islam just as easily as any other men in the Muslim world. “Islamist militants launched a rare attack inside Kurdish-held territory in northern Iraq on Tuesday, briefly taking over a local government compound near several producing oil fields. The Kurds have largely managed to insulate their autonomous region from violent instability further south whilst holding a long front line against Islamic State militants who control a large part of Iraq. Security sources said a suicide bomber had blown himself up at a checkpoint, clearing the way for three other militants to enter the compound in the town of Dibis 50 km (30 miles) south of the regional capital Erbil. The three insurgents then occupied the mayor of Dibis’s office, throwing grenades and firing at Kurdish security forces surrounding the compound, security sources said. Kurdish forces regained control after one of the militants was shot dead and the other two blew themselves up, security sources said. At least four members of the Kurdish security forces were also killed. Police Chief Serhat Qader said the attack was probably the work of a sleeper cell in Dibis, which has a mixed Arab and Kurdish population. A curfew was imposed on the town afterwards. Turkish jets launched a new series of airstrikes on Kurdish militants in northern Iraq, the first indication that the government is pressing ahead with its military campaign against them as President Recep Tayyip Erdogan’s allies in parliament prepare to reclaim one-party rule. While Mr. Erdogan and the dominant political party he founded celebrated their victory in Sunday’s election, the Turkish military confirmed on Tuesday that it had staged attacks on Monday against the Kurdistan Workers’ Party, known as the PKK, which has been branded as a terrorist force by Turkey, the U.S. and the European Union. Turkish security forces also stepped up operations in southeastern Turkey on Tuesday, killing at least four Kurdish activists in clashes and imposing a curfew in part of a town in southeastern Diyarbakir province that has been at the epicenter of protests.